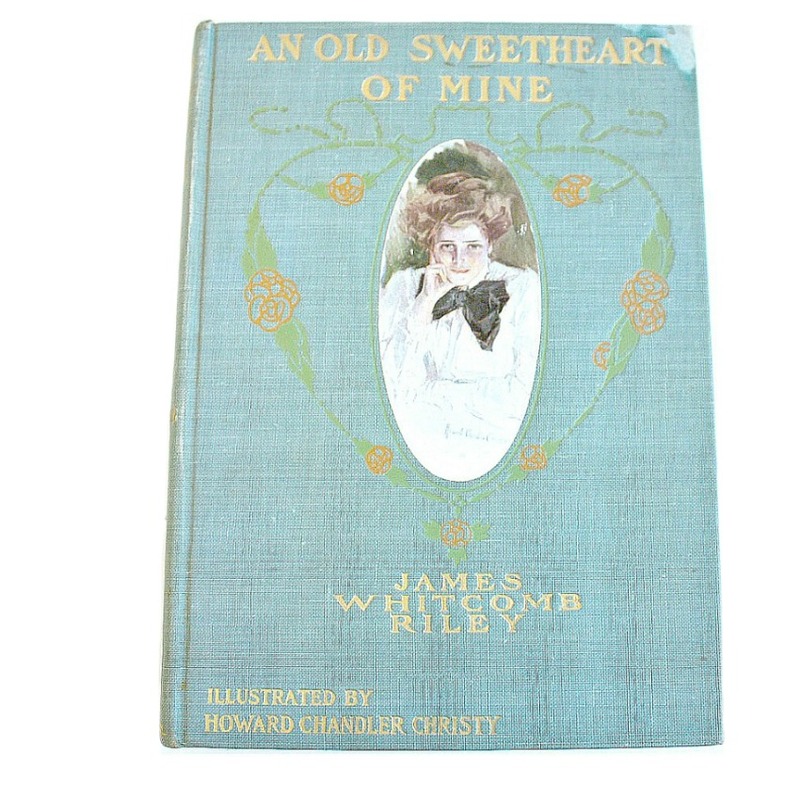 Such a beautiful romantic book for all you Howard Chandler Christy collectors. 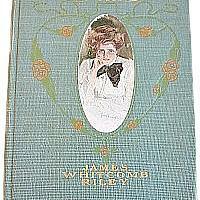 This is an early illustrated printing of the poem by James Whitcomb Riley, published by Bobbs-Merrill company, not Bowen-Merrill Co. An Old Sweetheart of Mine is a book-length sentimental love poem. After Riley achieved much success for his poetry, Howard Chandler Christy created original illustrations for his verses. Riley, a native of Indiana, often set many of his poems in his home state, and used local dialects in his writing. Beautiful binding with a floral heart decorative border and lettered in gilt, pictorial pink endpapers. 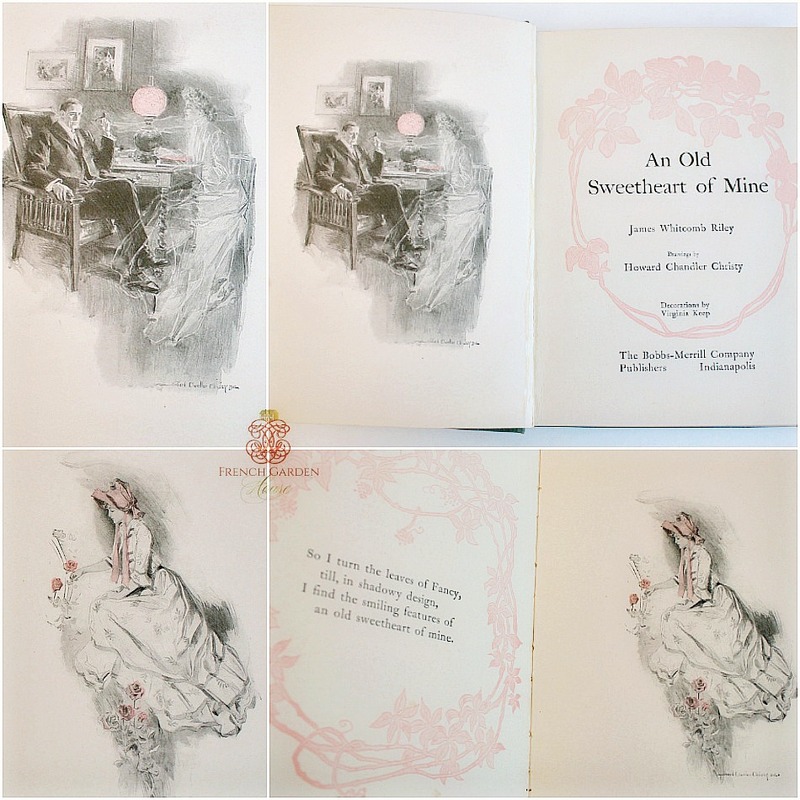 The oval pictorial pastedown illustration on the front cover has some beginning rubbing and edge wear, but it is gorgeous! Note the top right corner of the book has some lightening. The text pages are clean and bright, the illustrations are black and white with pink highlights. A beautiful book to display with your feminine books collection, or to gift to someone you love! 12 illustrations, unpaginated.